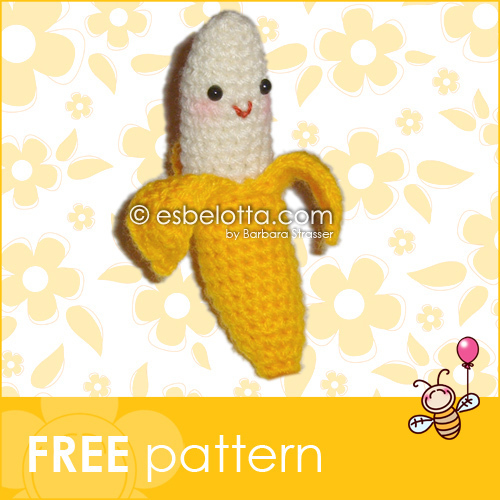 There's also a French version of the pattern available on stef et sa belette's blog: Banane Frécinette au crochet pour sa dinette ! Hihihi...funny as well as cute! Maybe that is why mine turned out different (I thought it was my fault). I improvised and it was still cute, the peel wasn't even all around, made it look authentic though. Real fruit isn't perfect.